Review (4/5 stars): When I opened this book and read the publisher's information (yes, I'm geeky that way), I almost didn't continue because it said it was a Harlequin book. But the cover art and the excellent book reviews I had read so intrigued me that I decided to give it a chance for a least a chapter or two, and I'm so glad that I did. This book will whisk you away to a time and place that was filled with adventure, romance, and intrigue. The main character, Delilah, is one of those woman who every woman wishes she were and every many wishes he could have. She's beautiful, witty, rich, outspoken, and even, from time to time, quite smart and independent. Delilah develops all of her smart aleck tricks from years of trying to hide her broken heart. It's starting to sound like a Harlequin romance, but trust me, it's deeper than that. When Delilah is forced to relocate to the wilds of Kenya for a year, we meet a woman who is loving and kind, open minded, someone who believes in compassion, equality, and respect for others. Or course, she gets into all kinds of drama with the others in the established expat community, all character who only add to the story. I'm not sure if it was the time period, Delilah, or the African setting, but I really did enjoy this book and looked forward every time I picked it up to going back in time. A time when people dressed up for dinner, even though they were living in the bushes in Africa. 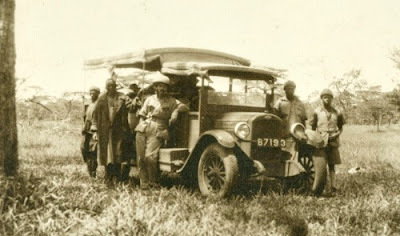 A time when men knew how to come to the rescue of a damsel in distress. A time when even proper ladies knew how to have one heck of a good time. 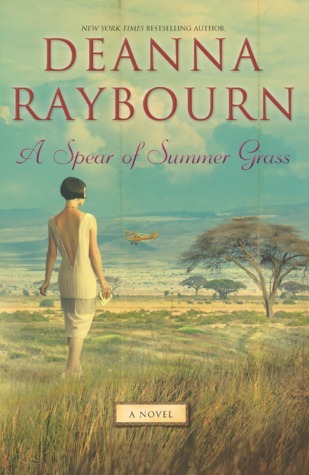 If you're a fan of Out of Africa, you will thoroughly enjoy this book. 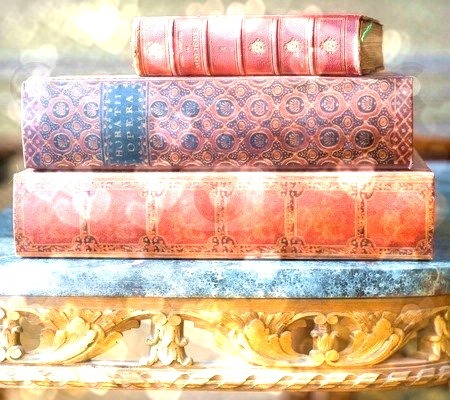 Have you ever been surprised about falling in love with a book from a certain publisher? Leave a comment below. Have you heard about Big Library Read? According to the website, it's considered to be the first GLOBAL e-book club! How exciting! I just happened to stumble across it while looking for my next download on my local library's website. The current download (no wait lists) is A Murder in Time by Julie McElwain. The book was selected by Big Library Read users through a vote by tens of thousands of users. The site offers a highly interactive experience with upcoming interviews, twitter parties, a discussion board, etc. 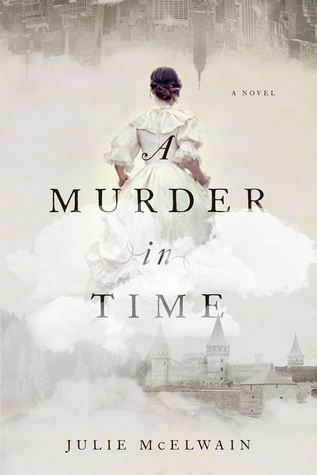 Summary of A Murder in Time: Beautiful and brilliant, Kendra Donovan is a rising star at the FBI. Yet her path to professional success hits a speed bump during a disastrous raid where half her team is murdered, a mole in the FBI is uncovered and she herself is severely wounded. As soon as she recovers, she goes rogue and travels to England to assassinate the man responsible for the deaths of her teammates. While fleeing from an unexpected assassin herself, Kendra escapes into a stairwell that promises sanctuary but when she stumbles out again, she is in the same place – Aldrich Castle – but in a different time: 1815, to be exact. Mistaken for a lady’s maid hired to help with weekend guests, Kendra is forced to quickly adapt to the time period until she can figure out how she got there; and, more importantly, how to get back home. However, after the body of a young girl is found on the extensive grounds of the county estate, she starts to feel there’s some purpose to her bizarre circumstances. Stripped of her twenty-first century tools, Kendra must use her wits alone in order to unmask a cunning madman. You can hear an interview with the author HERE where she goes a little more indepth into the story and her inspiration. There's also a sample of the book so you can decide if you want to be part of this huge book club. Big Library Read chooses 4 books a year and usually from different genres each time. Have you ever taken part? Leave a comment below! I don't give 5/5 stars lightly-this book is wonderful! Summary (via Goodreads): Teddi Overman found her life’s passion for furniture in a broken-down chair left on the side of the road in rural Kentucky. She learns to turn other people’s castoffs into beautifully restored antiques, and eventually finds a way to open her own shop in Charleston. There, Teddi builds a life for herself as unexpected and quirky as the customers who visit her shop. Though Teddi is surrounded by remarkable friends and finds love in the most surprising way, nothing can alleviate the haunting uncertainty she’s felt in the years since her brother Josh’s mysterious disappearance. 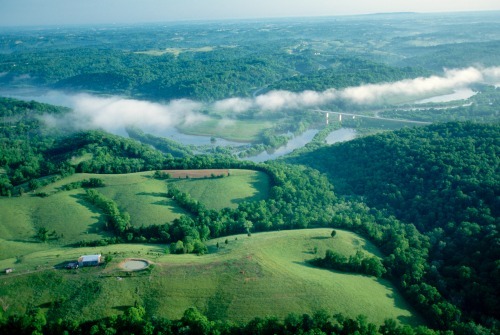 When signs emerge that Josh might still be alive, Teddi is drawn home to Kentucky. It’s a journey that could help her come to terms with her shattered family—and to find herself at last. But first she must decide what to let go of and what to keep. Review (5/5 stars): Wow! I picked up this up this book thinking it would be some cutesy novel about antique furniture with a little mystery thrown in, but it is not that at all. By the end of the first chapter I was already madly in love with this book! It is written so beautifully with such tenderness and love that you will want to be part of Teddy's world. Even though her life is no fairytale, and tragedies happen, the pages are filled with so many wonderfully caring people you'll envision yourself there among them all either on the Kentucky farm or the streets of Charleston. This is a book about treasuring family. It shows that just when you think you know everything there is to know about a person, there is always a hidden depth that explains so much more. 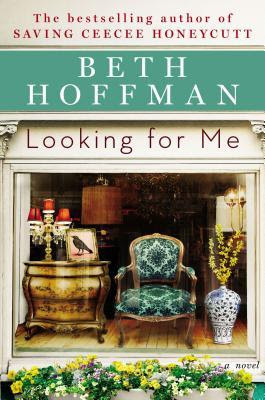 There is just something about Beth Hoffman's writing that feels like a warm hug that you never knew you needed. Be prepared, you will need tissues when you read this book. There will be tears of sadness, tears of pain, and best of all, tears of joy. When a writer can make you feel all of that, you know you have a great book on your hands. I cannot wait to find her other book and get to know her even better. 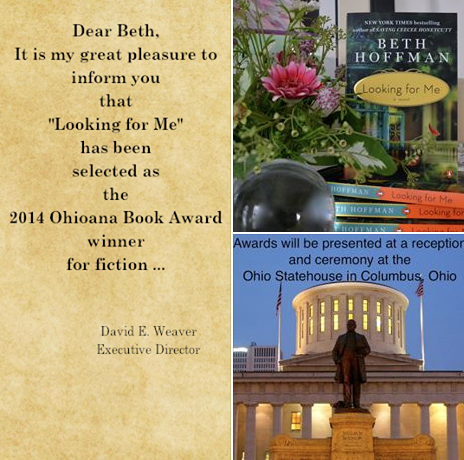 Learn more about Beth Hoffman, and her other book Saving CeeCee Honeycutt, on her blog. 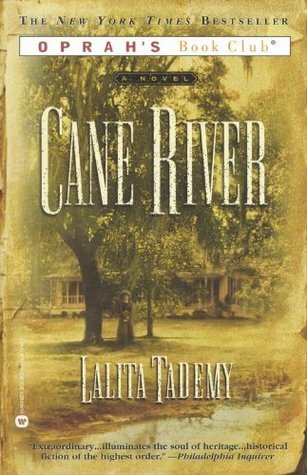 Summary (from LalitaTademy.com): In a novel that combines painstaking historical reconstruction with unforgettable storytelling, Lalita Tademy presents an all too rarely seen part of American history, complete with a provocative portrayal of the complex, unspoken bonds between slaves and slave owners. Most of all, she gives us the saga of real, flesh-and-blood women making hard choices in the face of unimaginable loss, securing their identity and independence in order to face any obstacle, and inspiring all the generations to come. Review (5/5 stars): Now this is how you write a family history! This is a truly epic story that spans the lives of 4 generations of women from the same family from the 1830's in rural southern U.S up to the 1930's. The trials and challenges that these woman faced and overcame will humble you. 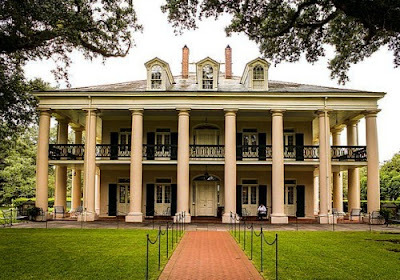 It's truly heartbreaking to imagine fellow human beings treated as anything less, but it happened, and all we can do now is remember and learn from that tragic time in history where people owned other people and called them slaves. What struck me most about these women is that so many of them saw a future for themselves that was better than the drudgery they were living. With no reason to hope, that is exactly what many of them dared to do, hope. Stories like this help me to grasp the incredible progress that has been made in recent times and to fully appreciate the tenacity, the drive, and the accomplishments of people like Barack Obama, Oprah Winfrey, and their predecessors. Their accomplishments could not even have been imagined 200 years ago. I loved this book, I loved the characters, and I love that Lalita Tademy was able to piece it all together to share it. If you want to take a taste before you buy, go to lalitatademy.com to read an excerpt. There's a great reading group guide and small photo gallery there too! Do you have a favourite memoir? 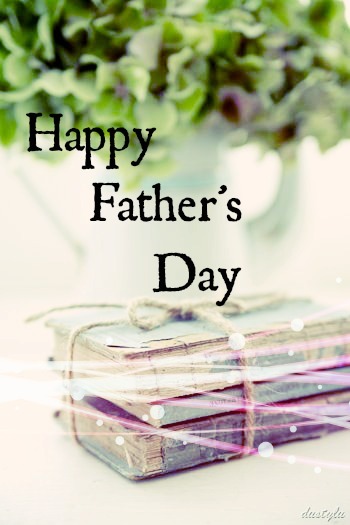 Share it below! It's always a surprise, and a little thrilling, when I see an author 'like' a review or retweet something I've posted! 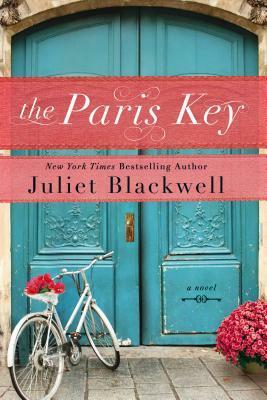 And Juliet Blackwell retweeted my tweet about her book The Paris Key! I'm a little starstruck. Imagine if I actually had to talk to either of these talented ladies in person?!?! The game has really changed for authors over the last 10 years. Like everything else these days, it's all about engagement. I remember when Oprah started her bookclub and she talked about writing letters to authors who really touched her. Now even you and I can reach our favourite writers, with just the click of a button. Have you ever engaged with an author? Who was it? How was it? Tell us all about it below! 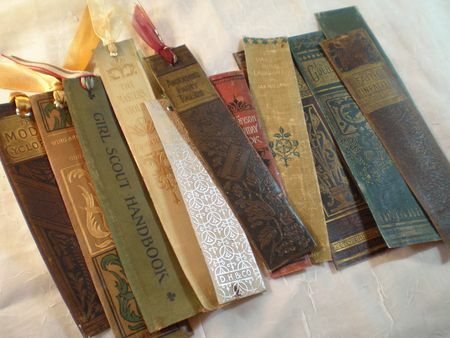 I have a hard time cutting up books but over at GreenPaper someone has found a great way to salvage old books that have no place else to go but the dumpster due to water or animal damage. While we're on a roll of looking at books from magical places around the world, I think it's time for a trip to Paris! 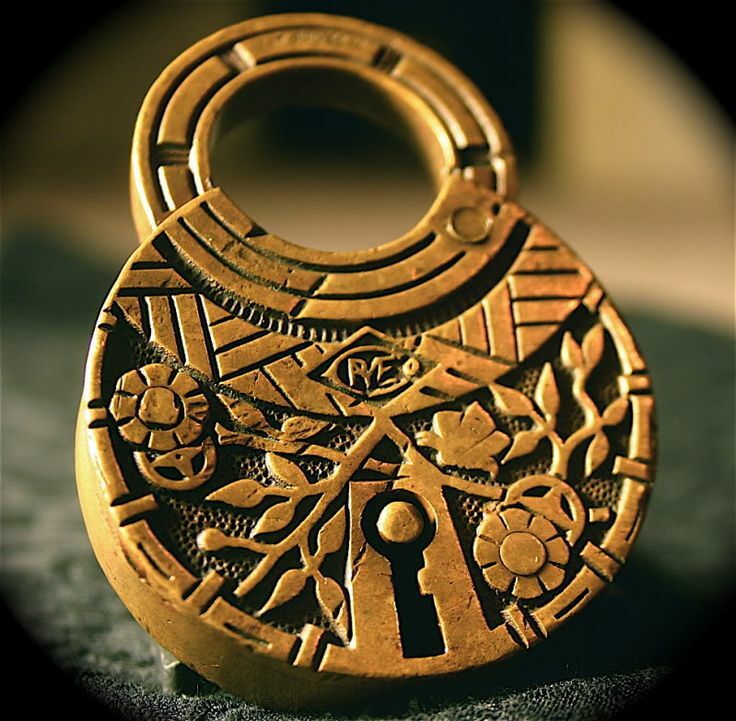 Summary (via JulietBlackwell.net): As a girl, Genevieve Martin spend the happiest summer of her life in Paris, learning the delicate art locksmithing at her uncle's side. But since then, living back in the States, she has become more private, more an observer of life rather than an active participant. She has held herself back from those around her, including her soon-to-be-ex-husband. But Paris never really left Genevieve, and, as her marriage crumbles, she finds herself faced with an incredible opportunity: to return to the magical city of her youth to take over her late uncle's shop. 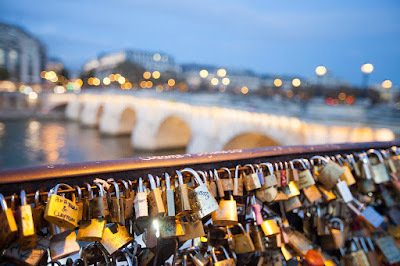 But as she absorbs all that Parisian culture has to offer, she realizes the city also holds secrets about her family that could change her forever...and that locked doors can protect you or imprison you, depending on which side of them you stand! Review: This is one of those books that lets you live vicariously through someone else who has the guts, or impulsiveness, to do the kind of things you've always wanted to do but never have. 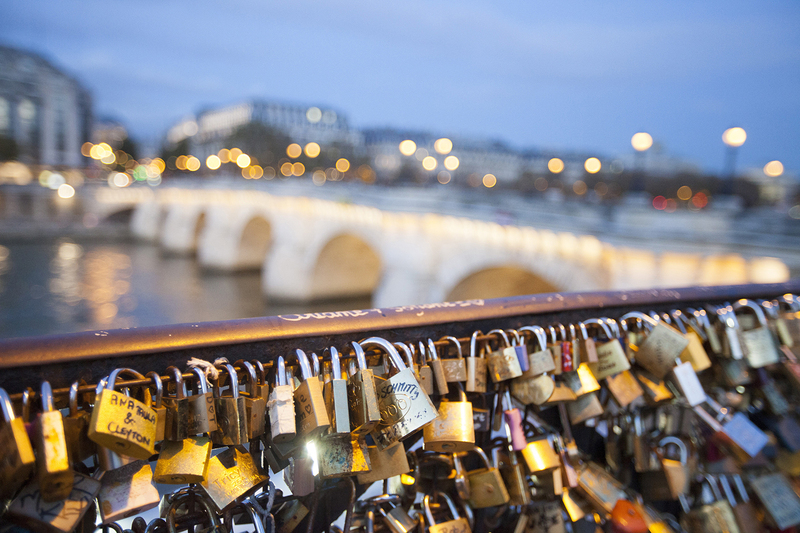 We all dream of packing it all in and moving to a romantic city like Paris but few of us have. Even fewer have all of the safety nets that the main character in this book had that enabled her to do it. Let that small fact go and you'll thoroughly enjoy this well written book. I listened to the audio version and once I got used to paying enough attention to pick up when the storyline switched from mother to daughter point of view, I was able to immerse myself in both stories and relate to both characters easily. I've been in both their shoes, travelling the world in search of a place to belong as well as not really knowing that you're already there until you leave. The lock metaphor works perfectly in this story and I never felt like the author was simply trying to show off her knowledge of the field, which can sometimes happen. If you want to escape and get to know the back streets of Paris without ever leaving your own home, this is a lovely way to do it. I'm a big fan of Juliet Blackwell. Her books are always well written and entertaining. She's also written several different series of mystery books. You can check them all out, and get some great book club questions for this book on her website. 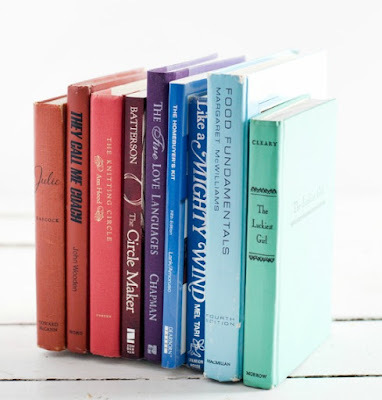 the Book Depository offers free shipping! One of my very favourite books! Summary (via Goodreads): When scriptwriter Jane Bussmann ("South Park, The Fast Show, Brass Eye" and "Smack the Pony") moved to Hollywood, it was supposed to be the start of something better. But a day job interviewing Paris, Britney and Co. left her trapped in the Golden Age of Stupid. Then she saw a photograph of John Prendergast in "Vanity Fair." His day job was ending war. He was also extremely attractive. Jane 'may have inferred she was a Foreign Correspondent', because suddenly she found herself on route to Africa on the trail of this modern-day Indiana Jones. There was one problem: when she got to Uganda John had left. Alone in a war-torn country, appalled by 25,000 child abductions, Jane must investigate the war crime of the century - to make John fancy her. 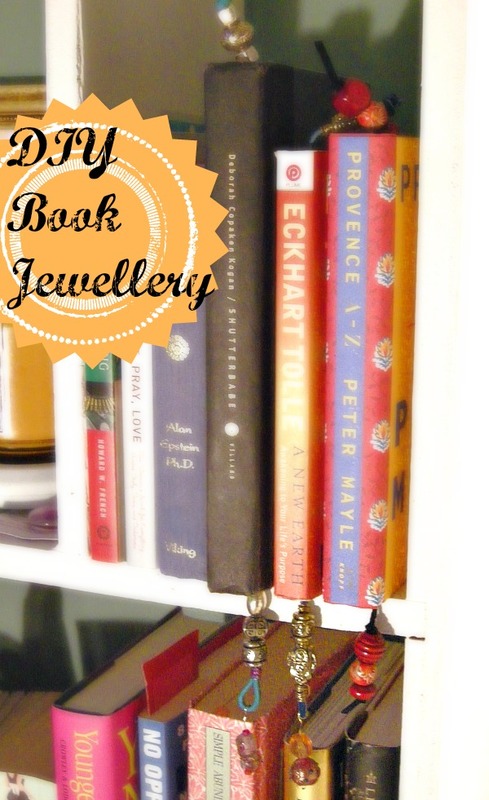 Review: I bought this book for next to nothing at a second hand shop so that I could leave it behind while I was travelling in Thailand but, I enjoyed it so much that it was actually quite hard for me to let it go. I thought it would be just a funny and easy read. And it is that...even though it's about the war in Uganda. I never would have thought that someone could write such an entertaining book about something so serious, but Jane Bussmann did it. She doesn't poke fun at the war or the insanity of so much of what is happening there, no one could pull that off. What she makes fun of is herself and her own ignorance and the ludicrousness of so many other things. She shows us how caught up our society is in things that are completely pointless and useless. While chasing down a totally hot peacemaker across the globe, she transforms from a celebrity gossip writer in L.A into a real life war journalist in Africa. What's really crazy is that this is all based on her real life, it's not fiction! The best scene has to be when she finally gets her "date" with the hot peacemaker and goes on the hunt for lip plumping serum in Gulu, Uganda. I was actually laughing out loud while reading it. 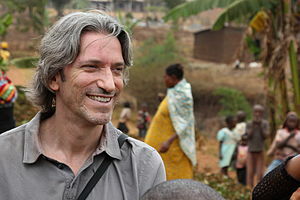 I've been to Uganda myself and it holds a very special place in my heart. It's a lush, beautiful country with amazing people who have survived more than any of us could ever imagine. As entertaining as this book is, it's also educational. 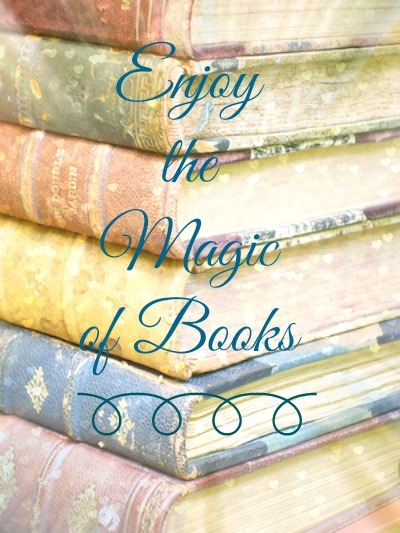 I love this book and I know you will too! 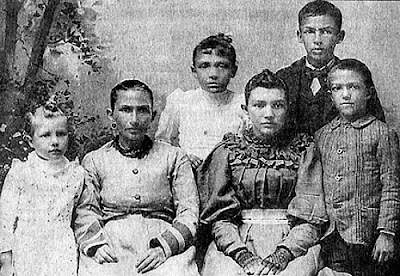 Learn more about the real John Pendergast and the Enough Project HERE! 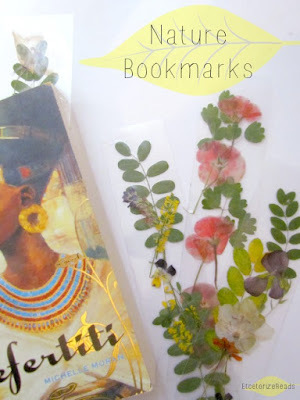 I like to call these super easy DIY Bookmarks 'Book Jewellery'. All you need is a few leftover craft supplies and you'll have a bookshelf sparkling with gorgeous beads in no time. You can find this and loads more crafty tutorials over on my other blog, Etcetorize. 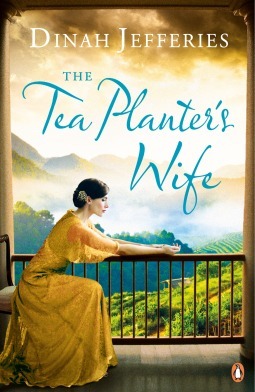 Summary(via Goodreads): Nineteen-year-old Gwendolyn Hooper is newly married to a rich and charming widower, eager to join him on his tea plantation, determined to be the perfect wife and mother. 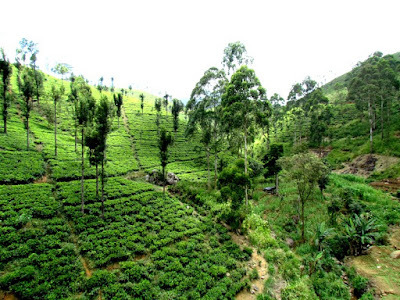 But life in Ceylon is not what Gwen expected. The plantation workers are resentful, the neighbours treacherous. And there are clues to the past - a dusty trunk of dresses, an overgrown gravestone in the grounds - that her husband refuses to discuss. Just as Gwen finds her feet, disaster strikes. She faces a terrible choice, hiding the truth from almost everyone, but a secret this big can't stay buried forever . . .
Review (4/5 stars): I picked this book up while travelling through Sri Lanka, which was the best way to read it. As the main character was discovering a whole new and exciting world, so was I! The book is beautifully written and easily paints every scene for you. I felt like almost every character was intriguing enough that each of them probably could've carried their own novel. My only frustration is that so much of the story relies on the premise that no one is willing to actually speak to one another about what is bothering them. Each time someone is finally confronted about their strange behaviour they usually run out of the room, and the person who asked the question simply shrugs their shoulder and says something akin to "oh well". However without all that, the story would've wrapped up very quickly. The book transports you to another time and place which made it thoroughly enjoyable. I recommend this to anyone who has been or wants to visit Sri Lanka or enjoys the the colonial era. 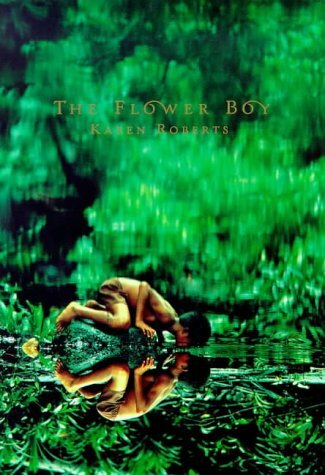 If this book sounds intriguing to you, I also highly recommend The Flower Boy. You can see the review here. And if you want to see more of Ceylon, or as we know it, Sri Lanka, you can go here, or visit my Instagram page. Don't forget, The Book Depository has great prices ships for free worldwide! Summary (via Goodreads): The Buckwater family live side-by-side with their Ceylonese staff in a house nestled in the lush hillside tea estates of '30s Ceylon. Premawathi is their cook and housekeeper. She has two beautiful daughters and a son, Chandi, who even at four-years-old is bright, inventive and more mischievous than his young harried mother can sometimes cope with. As the novel opens Elsie Buckwater, an embittered woman, is giving birth to her third baby. Chandi is enchanted by the idea of making an English friend and he christens her Rose-Lizzie after the flowers he loves. 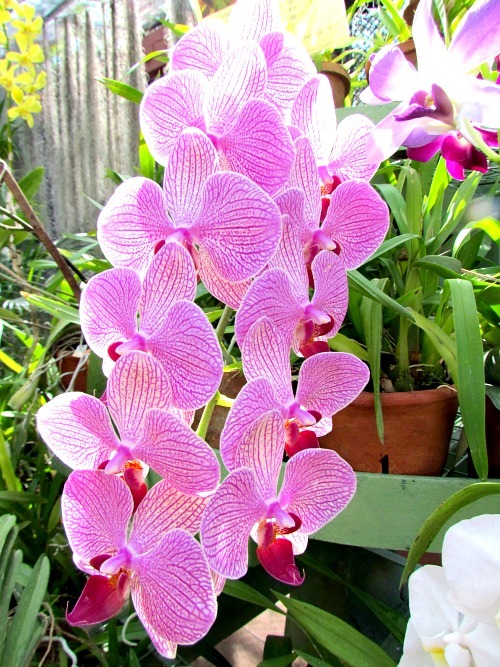 But the discontented Elsie imposes a stifling and unhappy atmosphere on the household and forbids Chandi to go near her baby daughter, whom she herself largely ignores. Eventually however she packs her bags and returns to England. Without her, life at the bungalow flourishes. Review (4/5 stars): This is a beautiful book that's about so many things. It's about strangers in a strange land, family, choices, relationships, and expectations, but mostly, it's about life. You will fall in love with the characters, even the ones who you want to shake some sense into, as they each meander in their own clumsy way through 1930's and 40's Ceylon (modern day Sri Lanka). I loved how the characters developed and changed as time marched on. I hope I'm not giving too much away to say that I wasn't overly satisfied with the ending though. 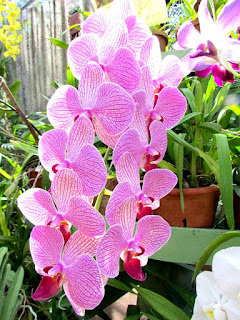 I wanted different things to happen and for life long dreams to be fulfilled. Instead I was heartbroken and felt like the last words on the last page came far too abruptly and that heartbreak was the only reason I didn't give it a full 5 out of 5. That being said, I think it's the sign of a good book to make you feel this way. It's the goal of every writer to make the reader become so invested in all of the characters and the storyline that they become passionate about it all and never want it to end. If you saw my post yesterday, you'll know that this book impacted me so much that I actually traveled to the other side of the planet to see the amazing place that this book was set in. If that's not impactful, I don't know what is.